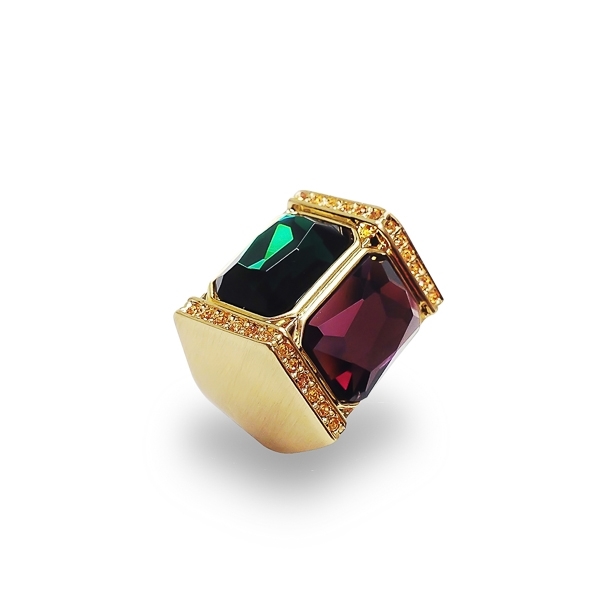 Description: Geometric style ring with amethyst and deep green diamond cut glass stones in brushed matte 14k gold plating. Topaz crystals set in channels on two sides enhance the 3D look and feel of the piece. Be prepared to collect compliments with this colorful statement ring. Enter Quantity for R-AE046-YG to add to your shopping cart.